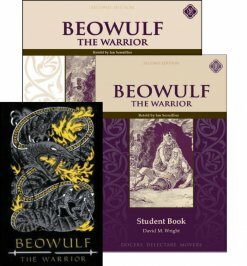 Beowulf the Warrior is an accessible version of one of the oldest pieces of English literature that we have. Our Student and Teacher Guides will increase the student's vocabulary and reading comprehension. 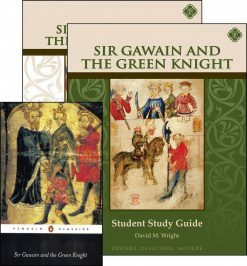 Sir Gawain and the Green Knight is a great medieval epic and romance. Our Student and Teacher Guides will increase the student's vocabulary and reading comprehension. 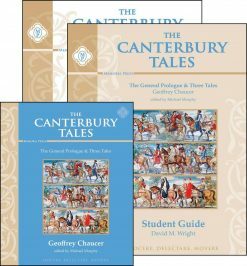 The Canterbury Tales by Geoffrey Chaucer is a foundational work in English poetry which every student should read. Our Student and Teacher Guides will increase the student's vocabulary and reading comprehension. 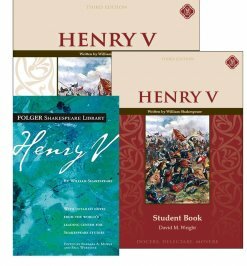 Henry V by William Shakespeare is one of the Bard's most well-known plays, featuring the famous St. Crispin's Day speech. Our Student and Teacher Guides will increase the student's vocabulary and reading comprehension. 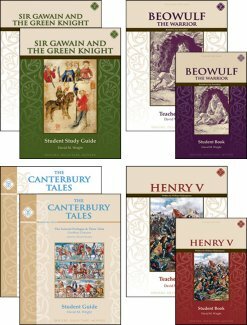 Ninth Grade Literature focuses on Old English and Medieval works. The literature study guides continue in the tradition of training students to read actively, but have been expanded and developed to lead students through a four-stage Trivium based continuum to the acquisition and expression of the Central One Idea of a story or poem. The students are guided to read and think through the grammar, logic, and rhetoric stages towards the essence of a story: the central proposition that gives the story its ultimate meaning and expression. The Upper School guides require students to think in increasingly rigorous and complex ways, to make connections from the particular to abstractions and back again, to compare and contrast, and to sort and classify. The guides feature helpful reading notes, extensive vocabulary training, comprehension questions, Socratic discussion questions, work with quotes, and literary and rhetorical devices presented in bold to prepare students for sophisticated literary analysis and/or future work in AP Literature and college classes. The guides also feature essay prompts with space for students to write the essay. The prompts are related to their work in the guide, and in particular to what they have determined to be the Central One Idea of the story or poem. This then becomes their thesis which they must argue for and defend in their essay. Active reading and thinking leads to good writing; and these three to wisdom and virtue – the directed aim and purpose of the Upper School literature guides. 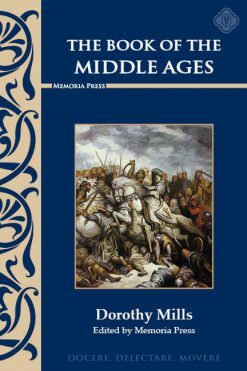 Poetry, Prose, & Drama Book One: Old English and Medieval Periods and Dorothy Mills’ The Book of the Middle Ages are included in the 9th Grade Literature Lesson Plans, but are optional materials and must be purchased separately. 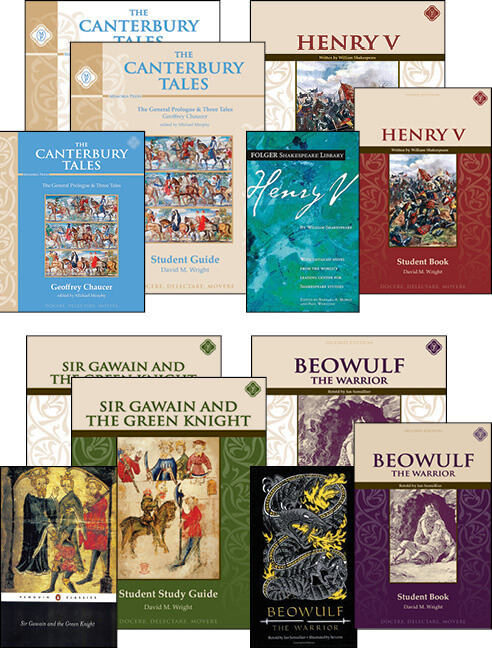 If you wish to complete Ninth Grade Literature according to our lesson plans, you will need to purchase the Ninth Grade Literature Set + Poetry, Prose, & Drama Book One: Old English and Medieval Periods Anthology + The Book of the Middle Ages Text. 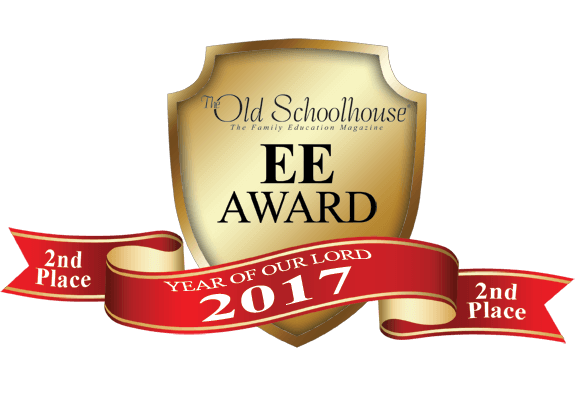 Need Lesson Plans for Ninth Grade Literature?